The rise of Kendrick Lamar has been well covered by pretty much every physical and digital publication that even slightly touches on the world of hip hop. It’s a bit difficult to pinpoint the moment he burst through the underground with his signature lyrical intensity and seemingly universal respect from the rap community at large, but it seems safe to say most of us spent the majority of 2012 in anticipation of the release of his label debut, Good Kid, m.A.A.d City. That time has finally come and for once, the wait was actually worth it. It only takes one or two experiences with Kendrick Lamar’s music to have his unique lyrical style and vocal presence etched into your mind. Even when backed by the most energetic of beats, there is a dull roar to his driven voice that echoes with the idea he is well aware of his level of talent. This would be dangerous in most cases, and it doesn’t take much of a glance at rap’s current hitmakers to find examples, but Kendrick lays his struggle with knowing he’s great to tape instead of boasting as if he’s now standing over the common man and it’s in this moment of vulnerability that he forges a true connection with the listener. He is the common man, only he has an uncommon gift and wild life that he’s learned to understand and use to a further extent than many of his peers. Good Kid, m.A.A.d City is an album that feels difficult to speak of in the sense of individual tracks, though many stand out as potential singles (“Poetic Justice” is flawless). Just as previous material have given us glances at a life laced with inner city struggle, drugs, guns, love, loss and family deeply rooted in their faith, the tracks on Lamar’s latest play like musical chapters in the latest book of an ongoing series about the life of a twenty-something on his way up. Even when Lamar touches on darker subject matter and the struggles he and those he loves continue to struggle with, there is an overwhelming sense of determination to overcome everything that reverberates throughout each track. Lamar recognizes he has a long way to go, and he uses this album to share that journey with the listener while still taking time to celebrate good. Perhaps the most notable aspects of Good Kid, m.A.A.d City is the extent Lamar goes to in order to create a complete listening experience. In addition to recurring lyrical themes and sequencing that could not be better, many of the tracks are tied together with audio excerpts from Lamar’s own life that serve to not only introduce or conclude the material, but enhance them with everything from the wisdom of his elders, to the way he and his friends interact. If there has been more effort and time put into letting listeners into an artist’s life, especially in hip hop, over few years then I have certainly never heard it. 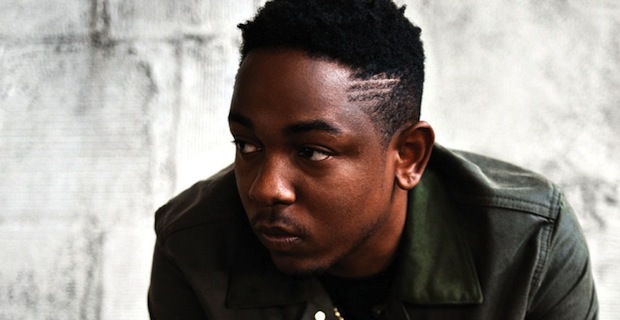 Hip hop needs Kendrick Lamar. Hell, music needs Kendrick Lamar. The biggest stars of the last few years have been those able to capitalize on disposability of pop music or those who choose to build their lines on words and phrases they know will piss off parents and amuse teens, but not Lamar. Good Kid, m.A.A.d City is a near flawless record that utilizes storytelling built completely on the human experience and the struggles we all face when trying to do right in a world that makes wrong much easier to form a lasting connection with the listener that doesn’t feel like another cheap grab at easy cash. This is real music. Real hip hop. You need to hear this record. In fact, everyone you know that claims to have any interest in urban music needs to hear this record. I don’t expect one album to change everything in hip hop, but at a time where everyone is doing their best to sound the same, Kendrick Lamar could very well be the cornerstone for rap’s next great movement. Don’t miss this album. The key to this album being so successful to me was the unexpected rise, fall, and finish that is so rarely found in a genre such as this. Absolutely a wonderful album with scattered pieces of pure joy! Can’t wait for ab’s new stuff to drop. Because this album went so hard.